The Instagram platform is arguably one of the most effective Social Media outlets for businesses to reach audiences and engage with their following. Without a set strategy, gaining the momentum and traffic you need to reach goals will be extremely difficult. 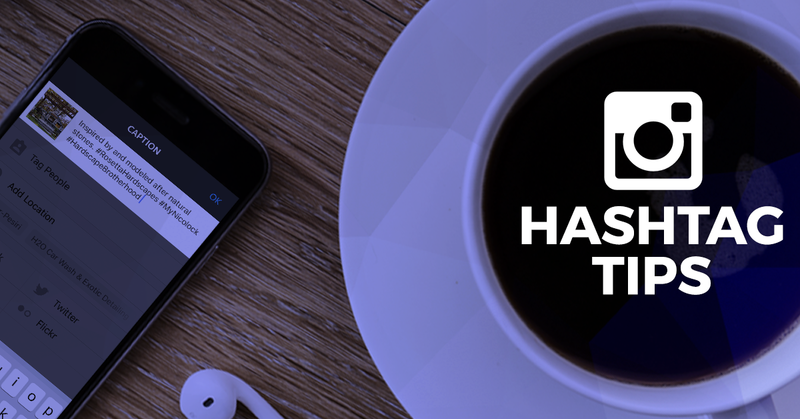 The best way to achieve your goals as quickly as possible is to incorporate an effective hashtag strategy. This is so much more than adding a few #words to your posts and hoping for likes. There’s a science behind it, and mastering it proves highly favorable to your business goals. The first thing that needs to be done is to settle on a brand-specific hashtag. Let’s assume your account revolves around selling premium car-wash products. Include something that people can both use and readily search for. If your brands name is ‘Arctic Car Care’, it will be useful to create a hashtag such as #MyArcticWash. Your brand-specific tag should be both easy to remember and unique to your brand. Not only are you increasing potential visibility, but as long as you use this hashtag — your customers will be inclined to do so as well. In addition, this generates consumer content you can use on your account or website for content and/or testimonial purposes. Your specific industry should have hashtags already in use for certain products. It is very important to research your competition, know what they’re using, learn what is and is not working for them, and apply that to your own business. #CarWash would be a great place to start. Hashtag strategy for the rest of the content is imperative as well, and you’re going to want to start broad – narrowing it down to a more specific niche as you go. Rolling along with the car wash theme, starting broad with #car will bring hundreds of thousands of tags. From here, narrow it down to something more specific, such as #CarWash, which may bring tens of thousands of tags. Dive into even more specific tags from here, such as #SelfWash or #AtHomeCarWash. These hashtags will bring up fewer results, but will be more specific in finding people whom you know are washing their own cars using a similar product to the one you sell. Engaging with them is vital to building a following that potentially could turn into a repeat customer. You don’t need to use all 30 allocated hashtags in order to remain visible, just the ones that pertain to the topic/product at hand. Using them in sentences is a great way to eliminate the need for a comprehensive list at the end of the caption. Get creative with it and it will show your customers that you care about not only the product, but the community surrounding it as well. Engage with the individuals who are using these hashtags, and it will turn into traffic on your account as. Liking and commenting on posts using these tags will bring people to your page, which will ultimately lead to conversions. If you find some tags are working better than others, or a new tag is on the rise, it’s a good idea to make sure it’s in your post each time. Management of these tags can be meticulous, but the payoff proves far greater when it’s done correctly.